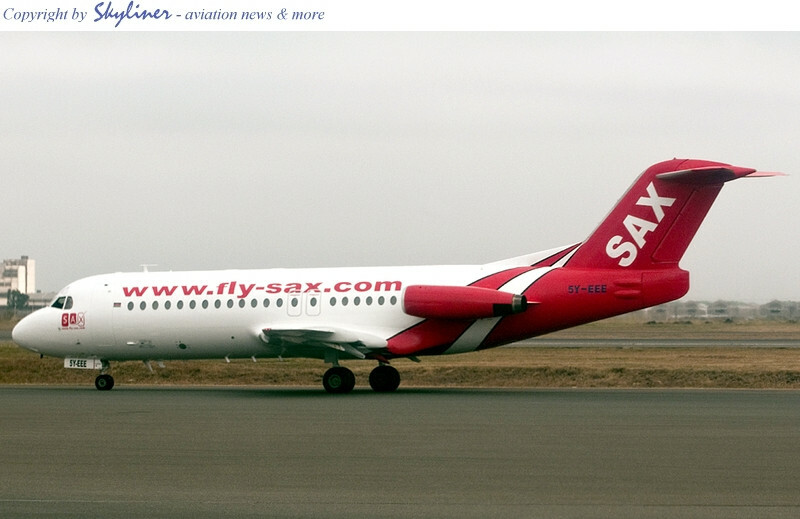 ► KENYA: See flySAX 's Fokker F28 in its new colours! After its recent acquisition by the Fly540 group of FastJet fame, flySAX, formerly East African Safari Air Express (B5), has just received its Fokker F28 (MSN: 11229 | 5Y-EEE) painted in the company's new colours, and ready for service. East African Safari Air was an airline based in Kenya whose international operations were suspended in September 2004, though the airline still maintained scheduled regional and domestic services through its subsidiary East African Safari Air Express. In November 2010, East African Safari Air Express too, ceased operations shortly before being bought out completely by fly540 Group in December 2010.